It is axiomatic that as hard as it for a new author to find themselves in print, it is even harder for a non-English author to find themselves published in the English Language. This is due to the authors work finding sufficient merit [by a publisher] to commission the additional costs of translation and further editing, as well as the additional marketing effort required to place the work toward an international market. It is of little surprise that Mishani’s work leaped over these hurdles, finding himself at the forefront of international crime fiction including UK and America. 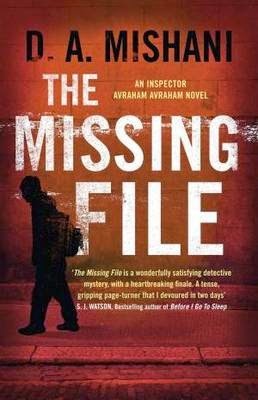 The novel opens with Detective Avraham returning to Israel, still haunted by the issues raised in The Missing File, as well as settling in with a new boss Benny Saban, and awaiting the return of his lover, Marianka who appears torn between her life in Europe and her life with Avraham in Israel. Due to staff shortages, Avraham’s boss, is pleased when Avi agrees to curtail his leave and get stuck into the workload now piling up. 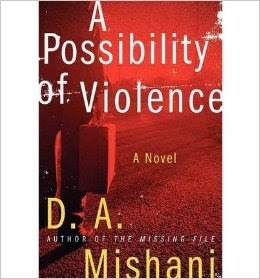 Avi elects to investigate a case that forms the title of the novel ‘A Possibility of Violence’. It appears that someone [possibly] is threatening the neighbourhood Holon, a suburb of Tel Aviv with what appears to be a sinister warning. A suitcase is spotted by a neighbour placed between an office license shop, and a nursery school. Avraham works alone initially as the department are short staffed, investigating what appears as a bomb-threat, or a warning. A Possibility of Violence follows the well-worn tract of the police procedural, but what sets this thriller apart from the others, following the same trail is its intense characterisation, insights into dark motivations of troubled people, muscular and confident narrative, sprayed onto an unfamiliar and alien environment. It also appears extremely topical, when contrasted against the recent spike in political unrest in the region, due to the issues raised in Gaza. It makes you wonder what it is like living and working in such a volatile country. Mishani’s work makes you learn about Israeli life, but in a subtle and unobtrusive manner, allowing the narrative to live and breathe the land that this tale is set against. scholar, specializing in the history of detective fiction and teaching in TA University. Kashua, Henning Mankell, Fred Vargas et al (2008-2013). published around the world in 2014 and 2015. Dror lives in Tel Aviv with his wife Marta and their two children, Benjamin and Sarah. 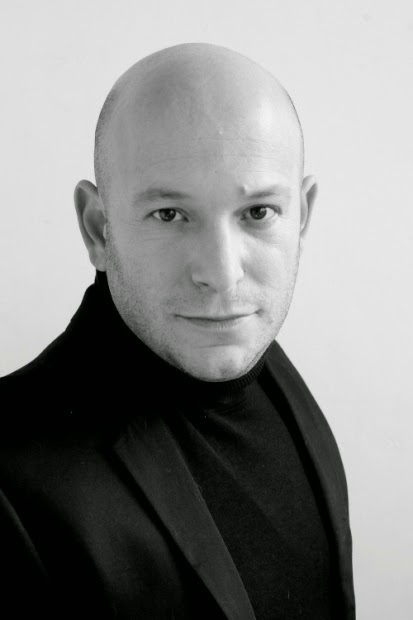 AK Dror you have a literary background both academic and then later in publishing, so could you let us know who or what prompted your initial interest in reading and then writing? Was is it your family, or perhaps your schooling? DAM I come from a reading-home but definitely not a crime-reading one. My mother having studied English literature in the University, we had an impressive library at home, filled with Classic English literature, but not even one "crime" or "detective" title in it. Maybe this is why my first memorable independent reading experiences, as a child, are linked not with the family-library I grew up with but with the public library in Holon, my hometown. This is where, with the help of wonderful librarians, I developed an independent sense of reading, maybe even a "taste", and most important, I discovered books as shelter, literature as a space within which one can secretly develop his imagination, his free will, his self. Until today, days in which I don't read are usually sad days, in which I feel myself much less, as if I disappear. AK And let us know what early [and later] readings do you credit in giving you the spark to write? DAM I'm not sure I thought about writing then, but I discovered detective fiction as a reader very early on. I was 9 or 10 years old when I discovered Sherlock Holmes, and reading "The hound of the Baskervilles" is clearly the first reading experience I can remember today. Having finished all of Holmes's stories, the librarian sent me to read Agatha Christie, which I devoured in a few weeks. And then there were no more detectives for me in the library, because there was so little detective fiction translated to Hebrew at the time! I was so desperate for more, and maybe it was the moment when the will to bring more detectives to Hebrew was born. I'm happy to say that as an adult, first as an editor and then as a writer, I have made my modest contribution to the enrichment of detective-fiction shelves in Hebrew. AK Following your academic studies in Israel and Europe, you entered journalism progressing to the literary world of publishing, with a slant toward crime fiction, so what is it about crime and thrillers that piqued your interest? DAM It's funny, but even after so many years of reading, teaching, editing and writing crime, I can't really say what is it exactly about this specific type of literary writing that attracts me so much. I can try to speculate though: Am I drawn to the constant negotiation of the crime-story with questions of personal guilt and innocence (this is what W. H. Auden thought the main attraction of the genre was)? Or is it Proustian aspect of the detective, meaning the fact the detective never ends, and you can keep reading (and writing) the same character for a whole life time? AK And why do you consider the crime novel to be one of the most popular fiction genres [outside of children’s fiction]? DAM I think the genre's global popularity has to do with the fact that, from its beginnings in 19th century crime fiction, it dealt with the most important questions of modernity and modern life. Questions such as the dangers of living in the big city, questions of urban alienation and social control, and of course, the genre's insistence to explore the deep psychology of crime and criminals - criminals that we all are, in one way or another. AK So within the crime and thriller genre, which books and writers do you enjoy the most and why? DAM I'm particularly drawn to the slow, realistic police-procedurals, which portray true crimes, true criminals and true victims, and explore them with the help of true detectives, made out of real flash and blood. Georges Simenon was the master, just like Per Whaloo and Maj Sjowall (in their Beck series), and today the best example is probably Henning Mankell's Kurt Wallander novels. But I enjoy immensely other great writers, each of them developed detective fiction in their own way – Ed McCbain, P D James, Andrea Camilleri, Fred Vargas, Karin Fossum, Hakan Nesser, Belinda Bauer, John Verdon, Jan Costin Wagner and many many more. I also like very much the ways non-crime writers contributed to the genre in individual works: Borges and Karel Capek's short original detective stories, Antonio Munoz Molina's "Bitter Moon" or Michael Chabon's "The Yiddish Policemen's Union" are good examples. AK Was The Missing File, your first written work, or do you have older manuscripts in your bottom drawer? AK Considering the diversity of sub-genres within crime-fiction, what steered you toward the police procedural? And can you tell us what police procedurals you’ve enjoyed both older work as well as contemporary? DAM As I mentioned before, I like crime novels which deal with true crimes, criminals and victims, and that "use" the genre's advantages to explore human lives, human destinies and human choices. I think that every death is a tragedy – for the victim itself, of course, but also for his loved ones and for the perpetrator too - and that a good crime novel should portray these many faces of the tragedy and dare look at the sufferings and sorrows that caused it and that were caused by it. That's why I'm less drawn, generally speaking, to the thriller or the psycho-serial-killer novels, that are so popular today, despite the fact that they all end with a psychotic breakdown of the serial killer, crying "It was all Mamas' fault!" AK Detective Avraham Avraham is an interesting character, and young, a stark contrast to so many contemporary Detectives who are world-weary with age, and suffering drink, depression or other ailments of the middle ages, so please tell us the genesis of this protagonist? DAM Avraham was born from my mixed feelings towards the detective's heritage, I would say. On the one hand, I wanted to create a detective like others, like the ones I love, but on the other hand I had a desire to write a detective who can sometimes be wrong – and also a detective that is searching after traces of innocence rather than after signs of guilt. One aspect of detective fiction I was always suspicious about is the fact that detectives know best and are never wrong and that they're sure every man is potentially a murderer (like Poirot, for example, often states). I wanted my detective to be trustful, to search for innocent people, to see innocence even within guilt, and this makes him sometimes a bit blind, but I'm willing to pay that price. I also wanted to create a detective that cares for the fates of victims and even for the fates of criminals - and for now I'm happy to say he still does. I hope he'll remain that way in the future, despite what he learns and sees along the way. AK And when your started The Missing File, did you envision your detective becoming a series character? DAM Yes! And from the first page. As I said before, this is probably one of the most appealing aspects of the genre (at least in my eyes) and when I assumed the challenge of writing a Hebrew detective I knew I wouldn't write him just once. AK And your choice to set your novels in Israel is an interesting one, but considering your time in Paris and England did you not consider setting your work in these regions? DAM I did live in Paris and in Cambridge for quite a while, and I love both cities and even think I'm familiar with them, to an extent. AK Though your work was written in Hebrew, it has been translated into several languages, so tell me how difficult was it for your agent to place your work internationally? DAM I think it wasn't that hard. Crime readers around the world are probably the least "nationalistic" and the most "universal" of all readers – they love reading crime novels from around the world, discovering new landscapes and cultures while remaining within the frames of a familiar narrative structure. AK I see you are a family man, which is interesting as both The Missing File, and A Possibility of Violence involve children in the narrative so is this an area that interests you, the family and the mysteries of childhood? DAM Definitely. I've even consciously decided that the first three novels in the series would be a "domestic trilogy", and that only afterwards Avraham would go on to discover other investigations, other crimes. I guess the reason is, as I said before, that I wanted to write about true crimes, criminals and victims, and the home is still, hellas, the most frequent crime-scene of all (a fact that the psycho-serial-killer novels ignore; reading them you can imagine that most of us are being hurt by Jack the Rippers and not by our loved ones). And it is probably also my own first "crime scene", meaning the place in which I was, for the first time, a victim, a criminal and a detective all at the same time. 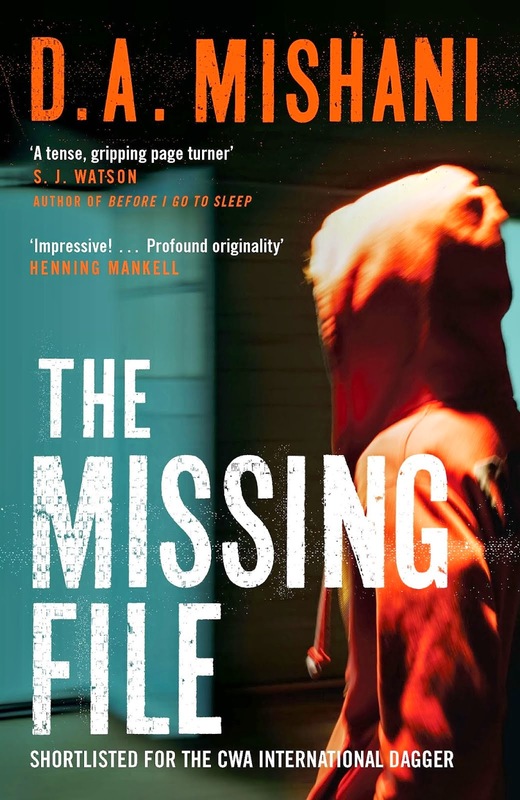 AK Your debut novel The Missing File was highly acclaimed with the Martin Beck Award and being shortlisted for the CWA International Dagger, so how did this affect you mentally when considering your sophomore work? DAM I have to say it put me in an awkward position. The first novel did well but Avraham himself, my protagonist, didn't do so well in the novel itself, his investigation didn’t end well at all, and so in a way I had to deal with two different experiences while writing the second novel: "his failure", "my success". I think I dealt with this by internalizing the "trauma" of the first investigation (Avraham's trauma but probably also mine) into the second novel's plot, forcing both of us to deal with it. 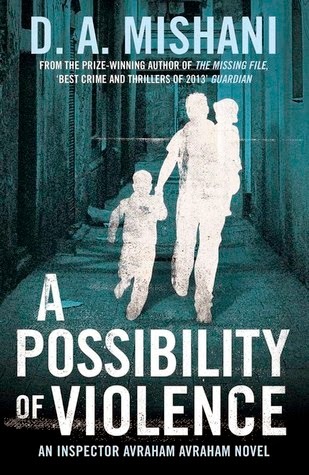 AK How did the idea for ‘The Possibility of Violence’ come about? It was born from an uncanny conversation I had with my 4-years-old son Benjamin. We had dinner one day when he suddenly asked me, "Do you know I had a father before you?" and then added, "But he's already dead." In the following days I tried to understand what he meant but he didn't have anything to add and just repeated the same sentences about the previous dead father. I had no solutions to this mystery but our conversation haunted me - and inspired a similar scene in the novel I started writing. AK I see you are writing full-time now, so are you going to continue with the adventures of Detective Avraham, or have you other ideas in the pipeline? DAM I'm now writing the third novel in the series, which terrifies me a lot. I'm not sure about its title yet but it's probably going to be "The policeman who went down the stairs and disappeared". And it's Avraham's first real murder investigation. After it's finished? Who knows? I do know I want to write other stories, other novels, but it’s probable that Avraham and I will get back together, this time exploring other places and other crimes. AK Though I avoid politics as I find it poses emotions that can get ugly, but as a resident of Israel, which currently is embroiled in a difficult situation with Palestine making the international news – it would be remiss of me not to ask what it is like being a writer living and seeing the horrors [on both sides] of the current crisis? DAM As a citizen of Israel, and a politically involved one, it's terrible. I strongly believe that Palestinians and Israelis can share this unholy piece of land and live in it as neighbouring communities, and this awful summer left me almost desperate – but only almost. I still believe that the fight for just and equal lives for everybody living in Palestine\Israel is not lost, although it won't be an easy fight. As a writer, and especially a crime-writer, it is a double challenge. In a society where so many lives are lost so easily I feel a crime writer has a mission: to restore the preciousness of life by means of telling the story of one tragic death that could have been avoided. AK And finally tell us a little about your current reading, as well as what you are working on, and what we are likely to see from your pen? Shots Ezine would like to thank Quercus Publishing, Sophie Ransom and Dror Mishani for help in organising this interview.